Adhering to the corporate mission of "Beautiful and Better Life", and depending on its distinctive brand image, superior product quality, innovative marketing strategies and international philosophy for public benefit, PROYA Cosmetics Co., Ltd. has quickly seized a place in the cosmetics industry, and become one of the top domestic cosmetics companies. “Natural and Healthy Skin Care” is the core concept of PROYA’s products. So far the company has successfully created 5 brands including PROYA, UZERO, ANYA, YOYA and CATS & ROSESwith over 1000 products, able to satisfy the demands of consumers of different age and with different preferences; established nationwide distribution network across more than 30 cities, covering department stores, cosmetic boutiques, large supermarket chains and electronic business platforms. The company has successfully realized the multi-brand, multi-category, multi-channel and multi-model operation and development mechanism, achieving a leading position in the Chinese beauty market. It is PROYA’s prospect to “Create a World Brand by Assimilating the Global Wisdom”. PROYA has invested tens of millions of yuan to purchase dozens of top equipment from the USA, Germany, France, etc., established long-term strategic partnership with 320 famous cosmetic raw material suppliers and more than 10 research & development institutions around the world, attracted high-end talents from the USA, the UK, South Korea, etc. 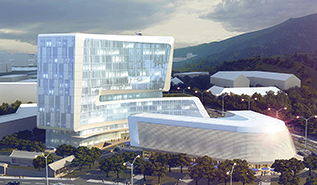 to join in, put a modern garden factory with more than ten thousand-square meter area and more than 1200 employees into operation, and has planned to build a headquarters building with a building area of more than 60,000 m2 beside the West Lake.With the enterprise spirit of “Diligence, Pragmatism, Passion, Progressiveness, Integrity and Gratitude”, PROYA has been recognized and trusted by multiple domestic and foreign governments and institutions thanks to its outstanding product quality and undertaking of social responsibility, has be awarded with “High-tech Enterprise”, “ISO9001 Quality Management System” and “ISO14001 Environmental Management System”, and has become the first partner of UN Women in China. As a “Global Growth Company” officially awarded by World Economic Forum, PROYA has embarked on the journey of carrying out the cause of beauty by assimilating the advanced knowledge from around the world. Based on the company's development needs, with an international perspective, PROYA selects partners with the strongest capabilities and industrial advantages across the world, constructing a global supply chain system. The management of global supply chain emphasizes the planning, coordination, operation, control and optimization of supply chain while comprehensively and quickly understanding consumers’ demand, and the realization of supply chain integration and rapid response relying on the support of modern network information technology, to achieve the objective of smooth coordination among business flows, logistics, capital flow and information flow to meet consumers’ demand. PROYA has established long-term partnership relations with a number of global professional cosmetics R&D institutions; selected world-class suppliers to import quality raw materials among which 96% are imported from more than 20 countries including European countries, US, Japan, etc. With the endeavor of gathering the intelligence in the industry, in the process of accelerating internationalization, the company has introduced the world's cutting-edge technology and equipment, including the Swiss Mettler’s most sophisticated intelligent weighing and batching management system, German top manufacturer EKATO’s homogeneous emulsification equipment, French KALIX’s automatic toner, lotion and cream filling line, Italian CAM’s automatic plastic sealing machine, etc. Efficient and intelligent automation equipment provide adequate capacity for the sustainable development; the perfect combination of strict production standards, cutting-edge production equipment and precise production technology ensures the smooth production of high-quality products, thus enables the effective respond to the demands of the market under rapid development. Relying on the advanced detection equipment and the all-around quality control, PROYA has passed the GMPC (Good Manufacturing Practice of Cosmetic) certification issued by the famous certification company SGS, as well as ISO9001 / OHSAS18000 / ISO14001 quality, safety and environmental management system certification, and its products have passed 127 international professional tests, which works as a solid guarantee for the consistent high quality of our products. PROYA’s warehousing and logistics center is equipped with three-dimensional high-rise shelves, world-class SAP WM warehouse management system and MES visualization management system, real-time inventory status control and inventory analysis can be realized through the system management and control, which can help the company precisely master the inventory and field operation conditions in a timely manner. 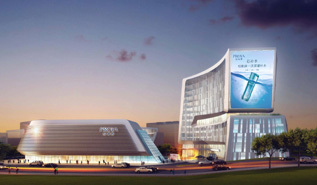 PROYA’s e-commerce center “Beauty Valley”, as the company's new generation of network sales platform, under the support of the multiple brands’ influence and based on a variety of e-commerce models, has innovatively introduced the tailored services provided by beauty experts such as skincare experts and makeup teachers, and established a new benchmark of B2C model in the cosmetics industry. In 2014, Beauty Valley was honored as “Key Enterprises of National E-Commerce Demonstration Base". As a China's leading skincare brand, PROYA focuses on the application of advanced marine technology, pure clean skin beautifying energy and nursing ingredients from the deep ocean to open the door of deep beautification for Asian consumers, and provide all-sided, in-depth skin care program. Adhering to the brand features as “intellectual, charming, elegant, fashion”, PROYA has established the user experience and purchase network in 32 provinces, municipalities and autonomous regions across the country covering more than 500 cities, and its 9 star product series are well received by women in pursuit of beauty. With more than ten years’ experience in skin care, the brand PROYA is now developing towards perfection and internationalization. UZERO, a skin care expert that advocates natural fresh skin care energy from plants, is a natural skincare brand founded in 2009 by PPROYA. Adhering to the brand philosophy of "Live planting, live essence and live skin", it extracts the fresh energy from pure plants in the nature, brings Asian women "fresh skin care energy of plants", provides the beautifying energy both for the skin and the mind, which not only brings pure and fresh beautiful skin, but also delivers steady stream of fresh spiritual energy. The current brand image spokesperson of UZERO is "Beauty Queen"Barbie Hsu. ANYA originates from Korean leading skin management science. It provides Chinese consumers with scientific and effective skin management to restore healthy and vital skin conditions by applying the patented technologies of authority and pure effective raw materials which are proven by the market for many years, based on the in-depth study of Chinese and Korean women's skin problems. The snail repair series, star BB cream series and high-end functional skin care series specially provide targeted skin solutions for Chinese women. Today, by virtue of its superior product quality, professional skin management method and good market reputation, ANYA has been well received by consumers. The current brand image spokesperson of ANYA is Korean star Lee Da Hae. To ignite all women’s desire for beauty, and wake up the energy for pursuing fashion, YOYA, as one of the 5 brands under PROYA Cosmetics Co., Ltd., was founded in 2009. The heavy makeup era has passed, and the new era of makeup pursuing “light and transparent feeling” has arrived. YOYA makeup adopts simple and bright design, makes comfortable and charming looking; more importantly, it only produces light-texture products without bringing burden to the skin, so that the products can interact with every inch of the skin both internally and externally, with smooth communication, really making consumers beautiful in an all-sided way. CATS & ROSES is a brand advocating “forever love, invincible beauty”, and specially provides young girls with tailored love makeup. Its products all use natural rose essence as the base, own the highest quality that can compete with Korean makeup products, along with the surprising packaging design, bring consumers natural-looking makeup effect. Since its launch, the brand has been well received by sweet girls. O`LAXSN is a skin care brand with the addition of natural handmade aroma essential oil as its feature, which was established by following the natural aromatherapy concept from Grasse of Provence and based on the long-term study on the Chinese aromatherapy products market, and the brand is committed to providing the delight “body, mind, spirit”-combined enjoyment for the people in pursuit of beauty. The Chinese name of O`LAXSN is "Ou Lan Xuan", where "Xuan" means the essence and extract of plants. 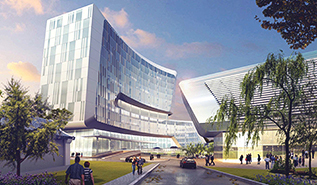 PROYA has spared no effort to solicit scientific and technological talents and introduce technologies, so as to establish a world-class R&D Innovation Center, which takes technological innovation as the core, has a comprehensive management from forming the ideas of products to putting the products into market based on long-term accumulated experiences and unique technology, ensures the advantage that the products are advanced in the technological field, and provides safe, effective and beautiful products to the consumers. With the goal of sustainable development, the excellent-product-oriented PROYA has created a quality ecosphere wherein employees, associates and consumers can live and grow harmoniously. PROYA promises that it will continuously fulfill the social value of the enterprise with diversified public welfare practices through three dimensions of female cause, development aid and environmental protection. PROYA is committed to female cause, focusing on female employment and physical and mental health, and further expanding the gender equality around the world; PROYA is committed to the development aid, paying attention to force majeure as natural disasters, protecting the vulnerable groups and extending the positive energy to the whole society; and PROYA is committed to the environmental protection, promising to carry out the project of “Making Sky Bluer and Water Greener”, and contribute to the future development of the world.